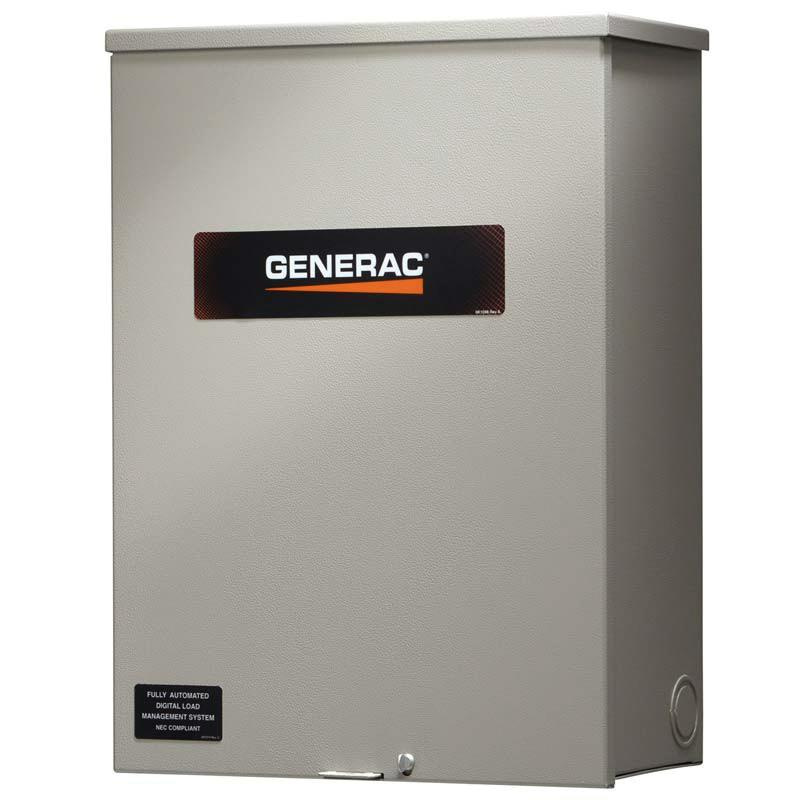 Generac 2-Pole 1-Phase Automatic smart transfer switch is rated at 400-Amps and 120/240-Volts. It accommodates size 600-MCM to 4-AWG or 1/0 to 250-MCM wire. This switch has NEMA 3R rated enclosure for safety. It measures 21.82-Inch x 10.06-Inch x 48-Inch. Switch is UL/cULus listed.